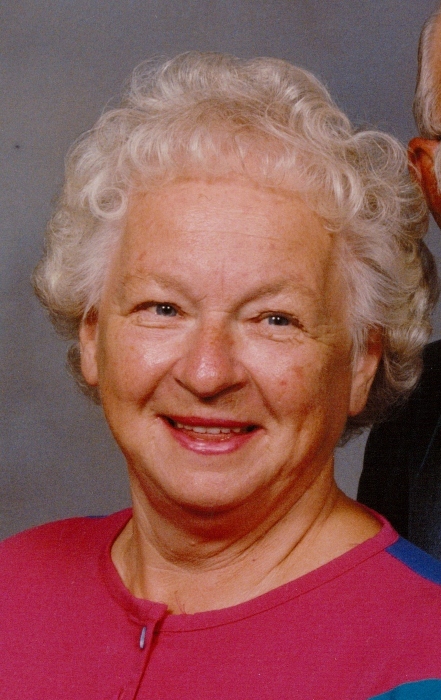 Norma Jean Rombke, 87, of Goshen, passed away Wednesday Jan. 23, 2019 at Elkhart General Hospital. She was born May 19, 1931 in Crestline, Ohio to Kirby C. And Lura E. (Fahl) Pinyerd. On August 10, 1952 in Crestline she married Harry G. Rombke who survives along with a daughter Candy (Craig) Henkler of Goshen, a son Scott (Dianne) Rombke of Elkhart. Also surviving are her grandchildren, Matthew (Dr. Jessica Montalvo) Henkler of Chicago, IL, Trevor Henkler of Elkhart and Aaron (MaeAnn Villanueva) Henkler of West Lafayette, IN and great grandchildren Renann and Allyvia. Jean was preceded in death by her parents and her brothers George and Dave Pinyerd and her granddaughter Jill Hart. Jean graduated from Crestline High School class of 1949 and was a member of Augustana Lutheran Church, Sweet Adelines, New Horizon Band for over 12 years, Jayshees and helped Mobile Meal- Salvation Army where she helped deliver meals for over 18 years. She was a bronze level Master Gardner, a Girl Scout leader and a member of the Rainbow Girls. She worker for several years at Dwyer Instruments in Wakarusa.